April 23, 2014 June 20, 2014 Andrew Shaughnessy, M.A. Building off of the work of Tracy McCreery, former Manager of Public Policy for PROMO, my name is Andrew Shaughnessy, current Manager of Public Policy. In the last installment of our Missouri Case study, Tracy observed firsthand the difficulty in getting Missouri-based hospitals, which clearly have LGBT friendly policies, to stand up as leaders in filling out the Human Rights Campaign’s Healthcare Equality Index (HEI). Don’t worry – this still remains the case for some hospitals – but we are seeing a positive shift from many of our targeted hospitals. 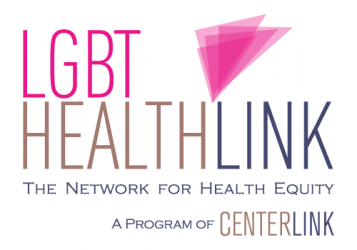 Going into this year, our work centered around hospital outreach and education around LGBT welcoming policies. We were interested to see how Senior-level Hospital Executives would react to our outreach efforts for the HEI and its welcoming policy requirements. Given the prior environmental circumstances we faced, we were pleasantly surprised by the reaction we have received thus far. From what we have heard back from our first round of outreach, we know that our work is affecting positive policy change for LGBT Missourians. Several targeted hospitals, including two network wide hospitals, which will include 14 new hospitals to our original list, have committed to improving their LGBT welcoming policies. Out of the targeted 20 hospitals that PROMO had originally reached out to regarding HEI requirements, we have made contact with, and provide technical policy assistance to six. Three Senior-level Hospital Executives disclosed to us that our outreach efforts had ‘inspired’ them to take action and update their policies. Next Post INCARCERATION IS AN LGBT ISSUE TOO!